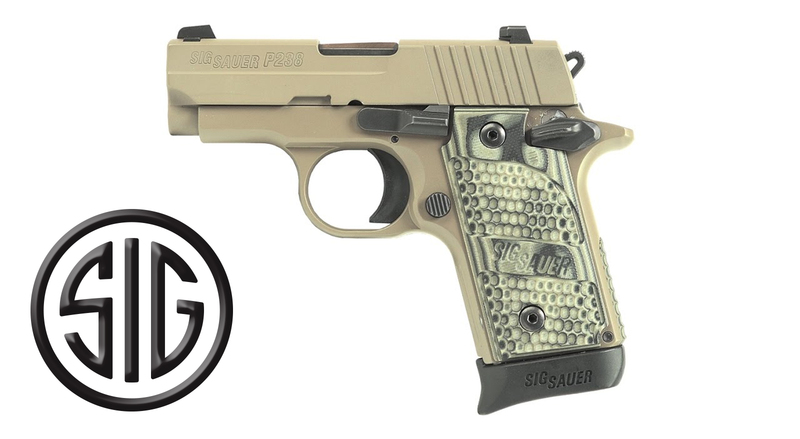 This week's Gallery of Guns Product Spotlight is the P238 Scorpion Subcompact pistol from Sig Sauer. It's calibered in 380 Auto, with a 7 round capacity. Finished in Flat Dark Earth, with Hogue G-10 Piranha Grips, it's sure to turn heads. With a 5.5" overall length, this microcompact fits with ease into a holster, or pocket. Head on over to Galleryofguns.com and get one for yourself. You'll be glad you did!